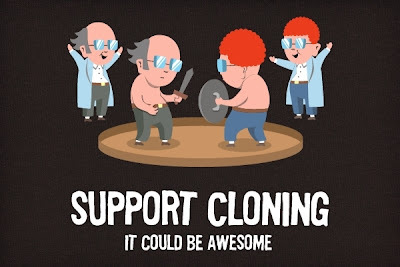 I am sure that all of you have heard about cloning before. Despite of being a scientific invention or discovery, it has existed from long time ago in nature. It is also called asexual reproduction. It happens, for example, in bacteria. But it also happens in higher animals. Cloning is an identical copy of an individual, organism or cell that already exists. But coming back to more human concepts, cloning has been one of the most interesting issues in science since the discovery of the DNA. The idea of creating a new individual with exactly the same genome as another... it almost means immortality. But we can discuss about philosophical meanings later. As we have discussed before, you can clone just taking the DNA of an individual and introducing it in a host cell and in a host individual. But it is not as easy as it seams, and that's the point of this post. 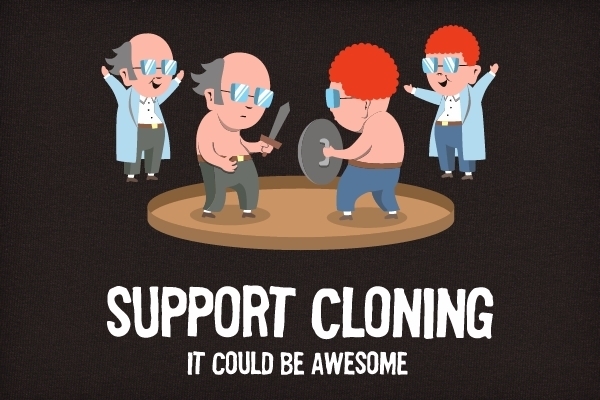 There are many problems for cloning. First of all, it is a very inefficient process. Dolly the sheep was the only offspring produced after 277 attempts. Problems happen both in the embryonic and fetal periods as well as during neonatal life. Nowadays, scientists say that the problem is epigenetic, not directly related with the DNA itself, but with the processes that surround it. Also, the DNA sequences at both ends of a chromosome, called telomeres, get shorter every cell division. The older the animal is, the shorter its telomeres will be. Everything could depend, then, on the age of the DNA donor individual. By now, nothing 100% conclusive. 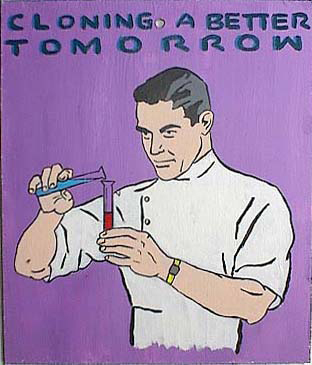 For finishing, just imagine that cloning could exist with a high efficiency in the future (now not thinking in humans). Extinguished species caused by human activity could return to live on Earth... Would it be natural? Are we now inside a natural way of evolution? We would love to know your opinion!